Samsung has today launched its Bixby Voice service on the Galaxy S8 and S8 Plus in the US. Now it looks like we have some information on its Bixby Speaker. Previous rumors had suggested that the Bixby Speaker would be launching before the end of 2017. A new report is now suggesting that the device will not be launched until 2018. According to a recent report from The Investor, Samsung does not see its device being marketable. The company does not think that the device will end up being profitable for the company. “Samsung currently does not view Al speakers as marketable, as the global market is already dominated by unbeatable Amazon and the Korean market is too small to make profits,” an anonymous source told The Korea Herald. The Amazon Echo is a very popular device and currently hold’s around 70 percent of the market. There are also devices from other manufacturers like the Google Home which Samsung will have to compete with. Apple is also launching it Siri powered speaker, the Apple HomePod later this year and Microsoft also has a device in the works. 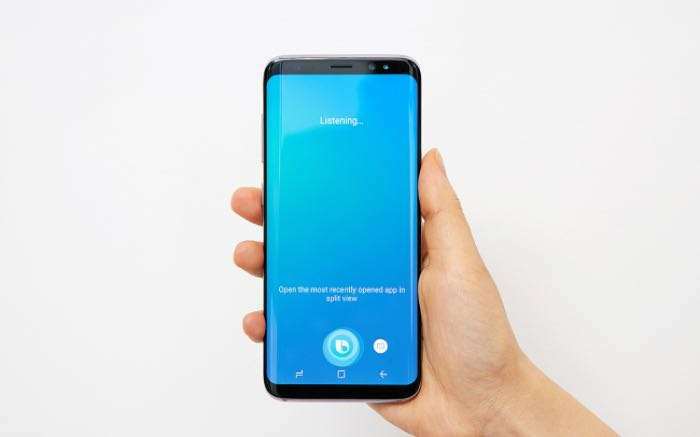 The Bixby Speaker from Samsung looks like it will be launching next year rather than this year, of course the device has yet to be confirmed by Samsung.